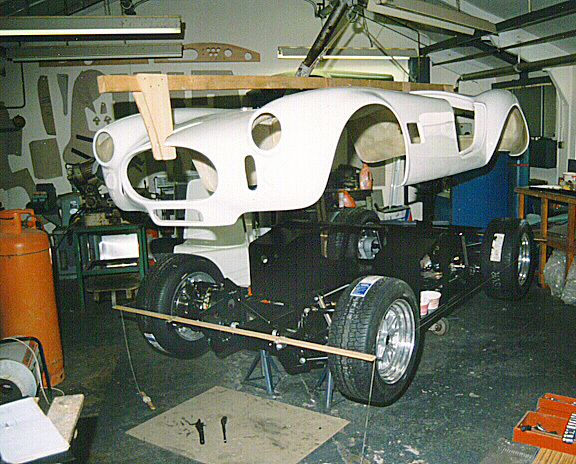 phone call from John at Crendon advised me that the rolling chassis was almost complete and did I want to get some photographs before the bodyshell was fitted. Did I ever! Jill and I visited Crendon and took loads of photographs. 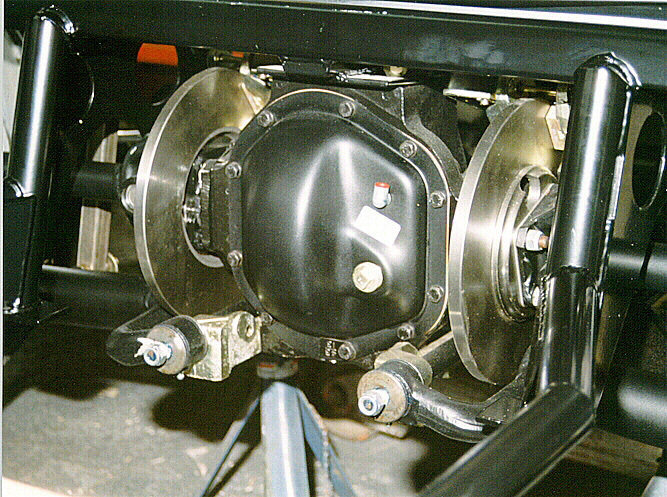 The axle is shown here. 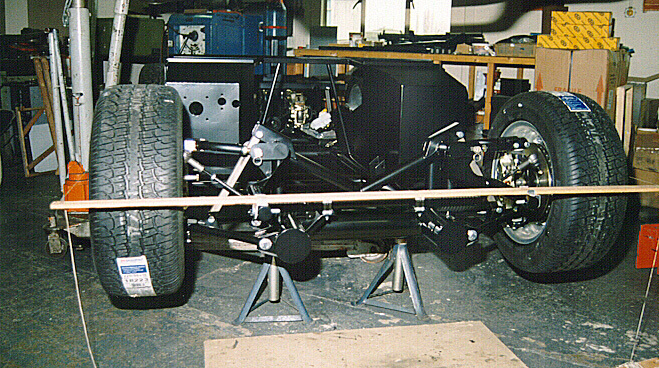 A Jaguar assembly clearly showing the rear inboard brakes. 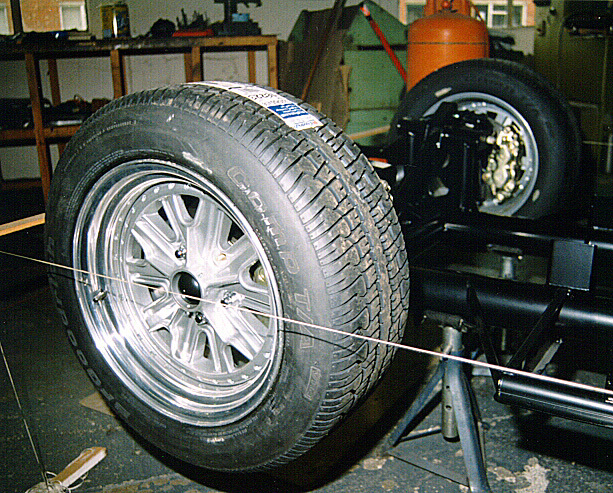 The front wheel, without the shock fitted. Again Jag front end is used with modified top wishbone. The piece of wood and string pictured in the foreground is used to help with body alignment - a simple but effective solution to achieving accurate body alignment. 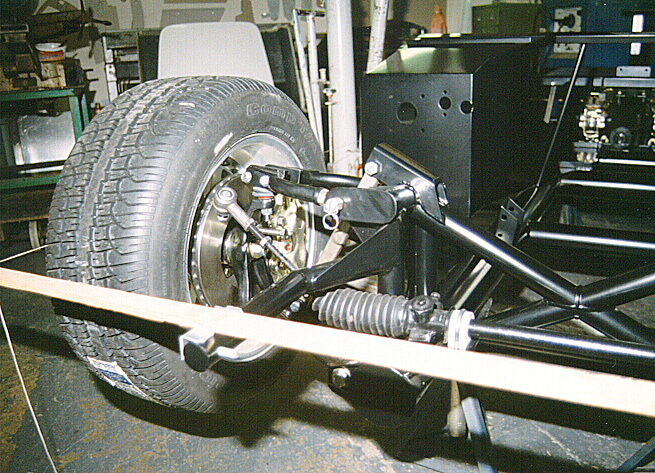 A close up of the front suspension, showing modified wishbone and Jag brakes etc. A close up shot of the Halibrand replicas (spinner not yet fitted). I can't get over the size and the amount of rubber on these babies. The rear tyres are 255's. Body above chassis ~ 235kb A wide angle shot showing the body suspended over the chassis, just before it was lowered into place.